the turbo-charged S160 deliver lots of muscle, lift capacity, lift height and travel speed. 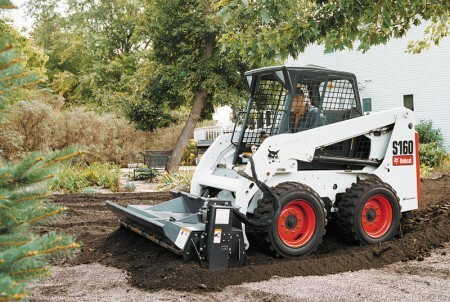 Powerful diesel engines produce plenty of traction and breakout force for excavating and handling large loads. There’s also a 16.9-gpm hydraulic pump for efficient attachment performance. 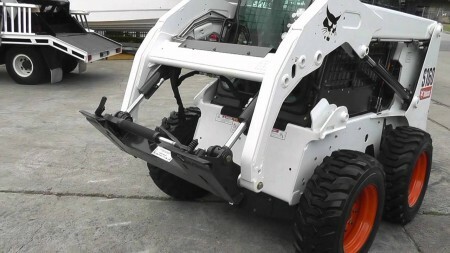 As with any Bobcat loader, you get a wide choice of quick-mounting Bobcat attachments. 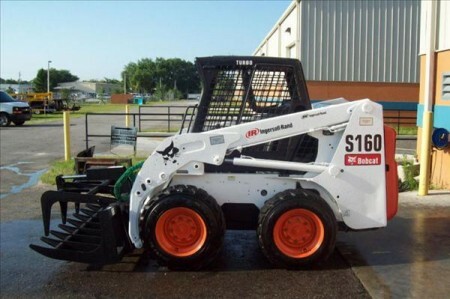 The operator can easily replace a bucket with a backhoe, pallet fork, landscape rake, sweeper, tiller and grapple, along with many more.